Teaching my four year old how to write his name is on my list of goals for this homeschool year. 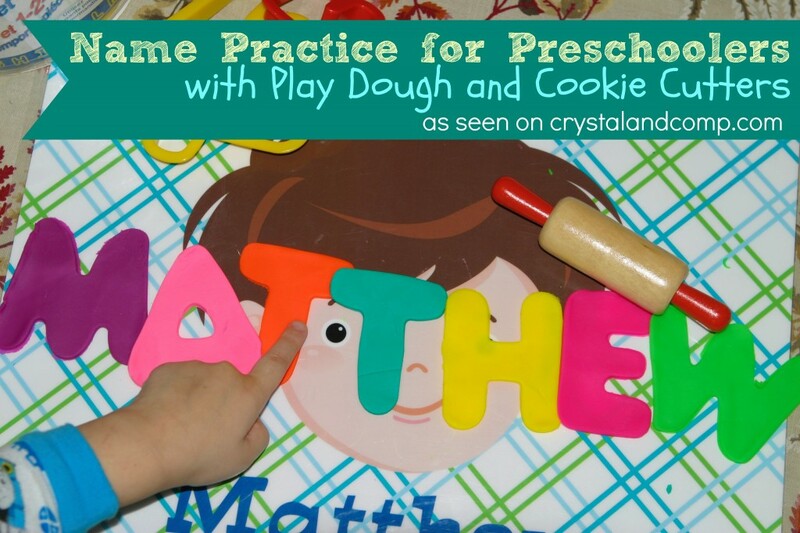 You see, while I have worked with all of my children with enrichment activities evolved around writing their name, I’ve never had to come up with my own independent name practice for preschoolers. Our oldest two children (now 14 and 12 years old) attended day care when they were little and then went on to attend public school. So, while we did name writing practice at home, they really learned the methods and such at day care/school. Our twins (now 7) attended Mother’s Day Out from the time they were 2 years old until we started homeschooling. Again, we did fun name writing activities at home, but the nuts of bolts of accomplishing writing their name came from their MDO teachers. I cannot take credit. With Matthew (now 4) all the pressure is on me. I am teaching him all of his letters, the sounds they make and how to string them into words, like his name. 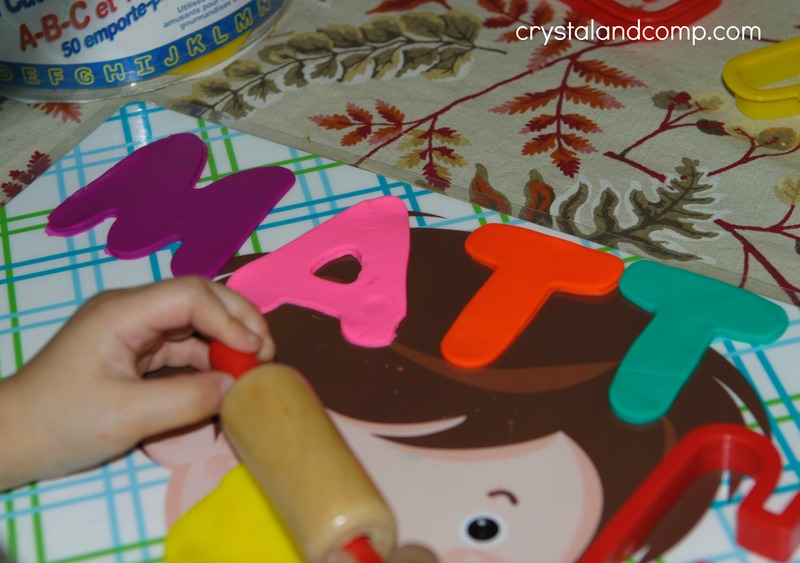 I am on the hunt for name practice for preschoolers that include hands on activities as he learns how to spell and write M-A-T-T-H-E-W. I am so excited to share these tutorials with you if teaching your little one to write his or her name is one of your goals too! 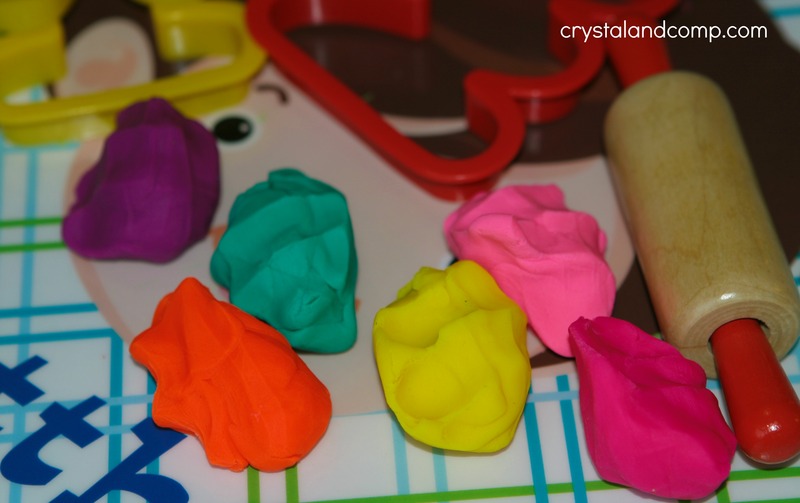 Matthew wanted to pick a different play dough color for each letter. This presented the perfect opportunity to review our colors. Matthew used his little rolling pin that came in a play dough tool kit that we bought when he was younger. If you do not have one, just grab a hard plastic cup from the cupboard. Matthew flattened out the dough. We laid out the cookie cutters in the order in which his name is spelled. One by one he cut out the letters of his name with the play dough and the cookie cutters. As he would cut them we would refer to our alphabet flip book and discuss the letter, the sound it makes and the name of the picture on each card. 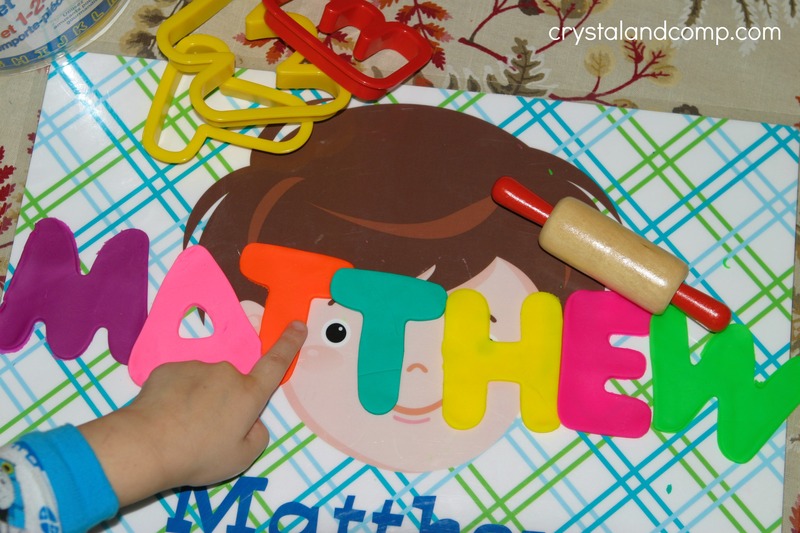 As we cut out the letters and discussed their sounds, we placed them in order on his place mat to spell his name. The more he sees the letters, the more he becomes familiar with them. At the end he stated, in order, each letter until he spelled M-A-T-T-H-E-W. He needed some help along the way, but again, we are getting him familiar with the letters. 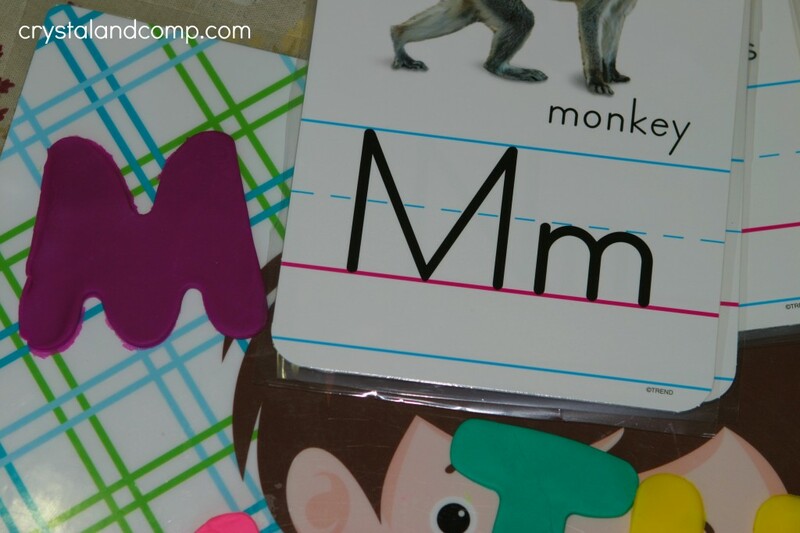 This is a great activity that focuses on name practice for preschoolers! I hope you will give it a try.